Bradley Beakes is a New York City based dance artist originally from Glendora, California. He attended California State University, Fullerton, where he majored in dance with additional training at the American Academy of Ballet, Limón West Coast summer intensives, and the Ailey School. Over the past decade he has been honored to dance with the Limón Dance Company, Ririe-Woodbury Dance Company, BARE Dance Company, Julia Ehrstrand Collective, Project 44, NOW-ID, Keith Johnson/Dancers, Naganuma Dance, and Visions Dance Theatre where he was named the 2010 Lester Horton Award Winner for "Outstanding Male Performance". 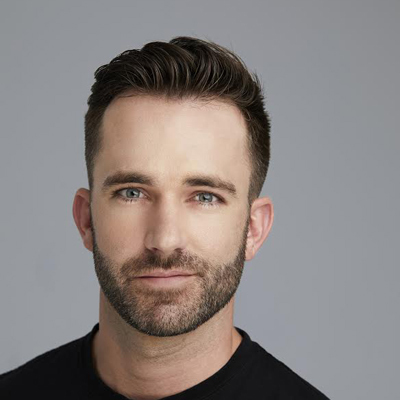 Bradley has been a member of Doug Varone and Dancers since 2017. He has been privileged to guest teach in over a dozen universities across the United States and in summer intensives by Doug Varone and Dancers, Limón West Coast, Ballet West Academy, Ririe-Woodbury Dance Company, Ballet Lubbock, and New Jersey Dance Theatre Ensemble. Bradley recently taught for the Dance International Program in Japan to institutions including D.A. Tokyo, Fukuoka School of Music, Nagoya School of Music, D.A. Osaka, and the Tokyo School of Music and Dance. In NYC, Bradley currently teaches for the Limón School and intermittently at Gibney and Peridance. His choreography has been presented at the American College Dance Festival, Great Salt Lake Fringe Festival, Palm Desert Choreography Festival, Ririe-Woodbury Dance Company's 'Momentum', INKUBATE Dance Festival, and the Utah Arts Festival.